I've been harping on about it for weeks but I LOVE Autumn! Just look at those colours, is there anything prettier than a park full of Autumn leaves in all their shades of reds and oranges? I love it so much! Other things I love about this season is collecting conkers, wearing beanies, putting on slippers as soon as you walk through the door and decorating pumpkins of course! There is a possibility that this could be our last Me and Mine as a family of three (I'll be in my 39th week in Novembers) I have a feeling this little baba will have me waiting a while. Not sure why to be honest, but I guess it's better to think that way and be surprised by an earlier arrival than think she'll be early and feel like it's dragging on. 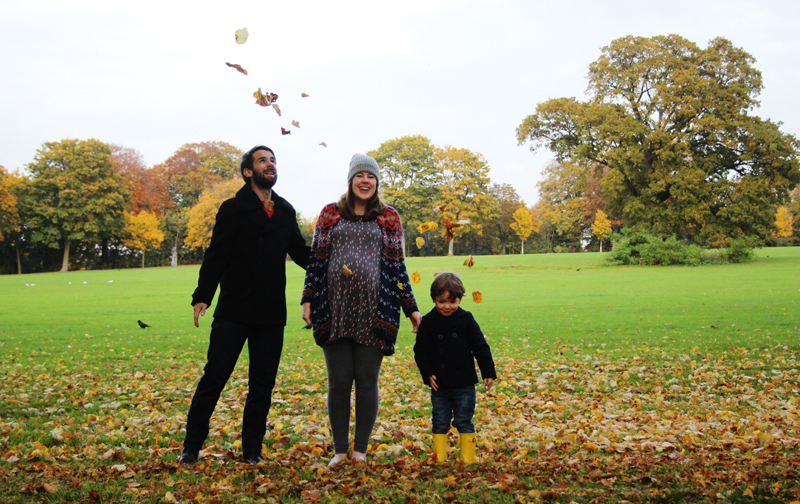 This month I've loved embracing the cooler weather with my family, watching films and doing crafts with a cup of hot chocolate never far away. We've been trying to make an effort to do as much fun things as we can with Wilf whilst he is still our only child. Trips to the swimming pool, daddy and Wilfie cinema outings and next week we've planned a little Christmassy break in London to treat him one last time before the new arrival. Wilf's birthday is two weeks into Dec so there is a chance that the baby might be born either on this day or very close if she's late. I'm really conscious I don't want him to feel left out or overshadowed so hopefully he'll appreciate us trying to make an extra effort in these last weeks. I'm always pretty adamant about the official start of Winter (Dec 1st btw). Mainly because my birthday is the 30th of November and I maintain it's in Autumn which is my favourite season. However it's around this time of year that I start to think to the winter, to Christmas, to evenings spent cuddled up, slippers and baking and all the excitement of the holiday season. Last weekend the clocks went back of course and anyone with kids spent Saturday wondering when bedtime was going to come around after their stupid o clock start! 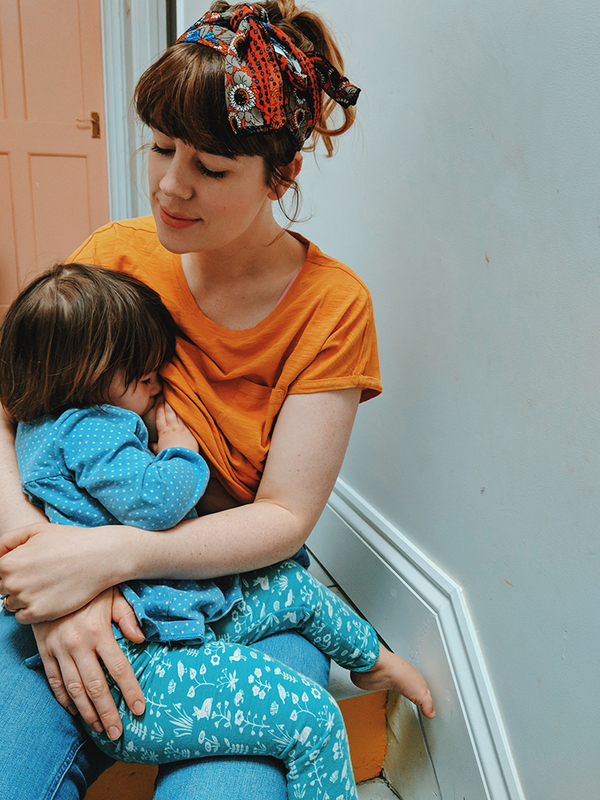 I'm actually much more of a morning person than an evening person which is useful when you become a parent but still early mornings in the winter can be pretty brutal. Belvita were kind enough to send us a little hamper the other day to help with the transition to the darker morning including some of their new soft bakes. 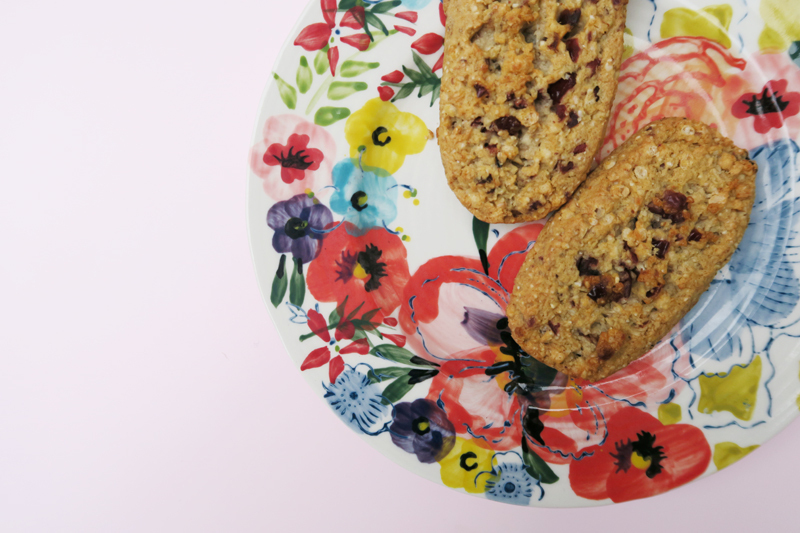 Best enjoyed with a cup of tea, your slippers on and maybe even a hot water bottle for that extra snuggly feeling before the day begins. In case you were wondering slippers from here and chunky knit from here, plate from here! 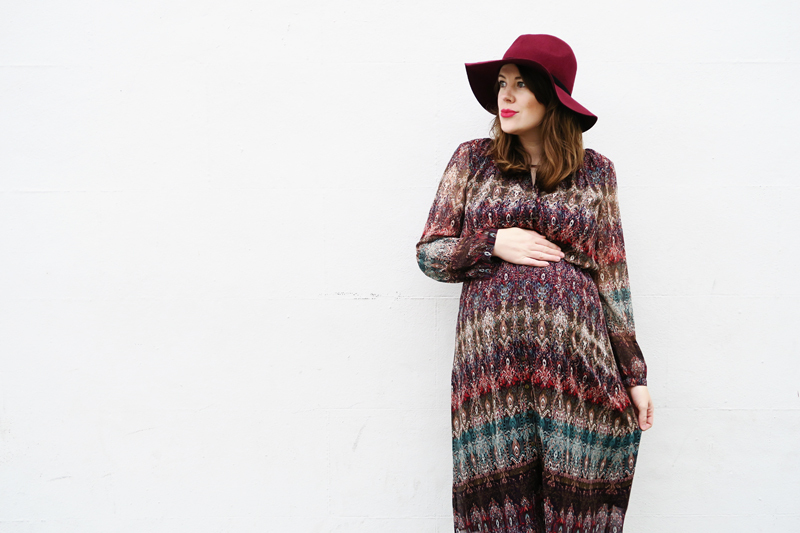 I think especially with being heavily pregnant at the moment I'm really embracing the slow starts and the cosiness of the approaching winter. I think I maybe should have been Danish as I'm very much into the idea of Hygge! How do you start your mornings? 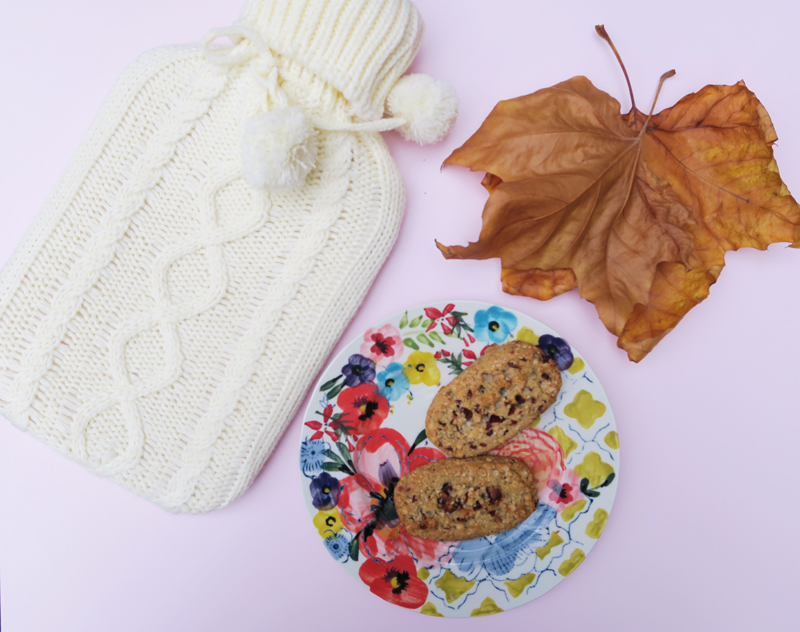 Do you embrace the darker months and the cosiness they bring? 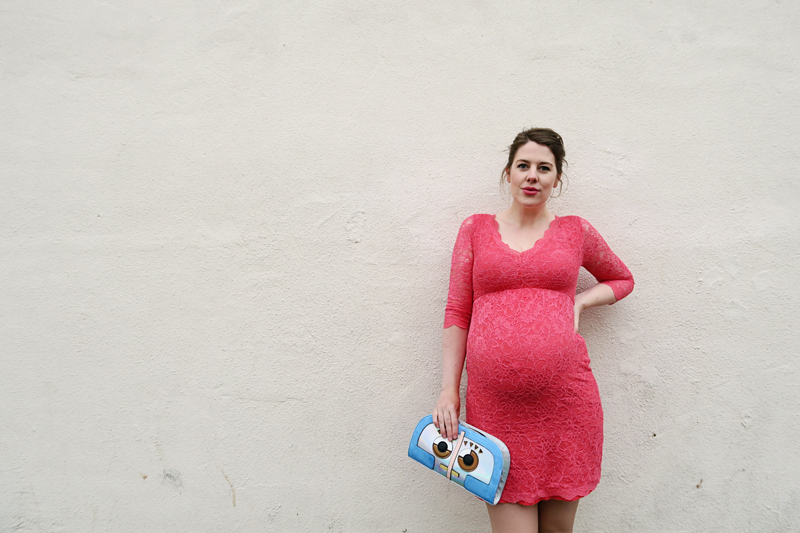 Owl dress by People Tree (get 15% off with code TLQ15) I bought in the size up for the bump but it's actually cut to be baggy so I could have gotten away with my regular size I think! So the last few weeks of pregnancy are approaching. I've actually found the past few days pretty challenging, headaches are back and I've been suffering a bit with heart burn and leg cramps. Still I wouldn't swap it for the first few months which will always be the trickiest (in my opinion!). I know this will be my last pregnancy and at times I feel sad that I'll never experience this again but there are other times I'm very much looking forward to getting my body back again. 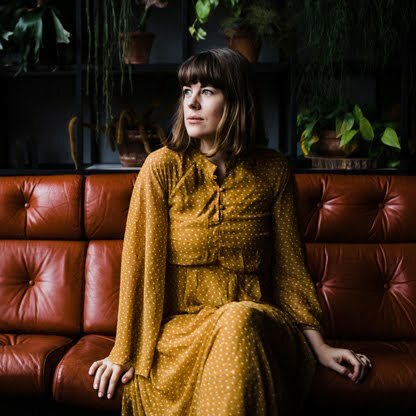 I feel really heavy and limited in much that I can do and I'm really looking forward to slowing things down (do I sound like a broken record? I swear I've been telling people I will slow down for ages!). I'm really looking forward to experiencing going through labour and birth again and the only thing I'm slightly apprehensive about is my due dates. I was originally due on the 14th (Wilf's birthday) and then it was moved by a week to the 7th. My only worry is that if the original date is right then it would seem like I was 'overdue' when I wasn't and could cause issues. I know you are can go as overdue as you like but I'd rather not have the hassle of it, that being said Wilf was born at 39 weeks so I'm hoping this little baby follows suit! We have pretty much everything we need now for the arrival, including a bouncy chair and moses basket which somehow makes things seem a bit more 'real'. It will be strange to have baby stuff around the living room again after so long. Wilf is being super cute when it comes to talking about his little sister, the other day he leant close to my tummy and said 'woof woof!'. When I asked him why he was barking he said 'so she will think that her brother is maybe a dog and that will be a funny joke when she is here!'. I love the way three year olds minds work! I'm not sleeping massively well at the moment but I did finally invest in a pregnancy pillow which I should have done ages ago and is helping. I do feel like this baby is really low down though so I'm feeling a lot of pressure and it's making it hard to walk at times. I'm not sure if it's because the baby is lower down earlier than Wilf was or if it's because my muscles don't work at well as they did first time round! I've also bought myself a pregnancy yoga DVD and mats for Wilf and I so we can do a bit of yoga in the morning together, which could be interesting! Autumn is my favourite season, I think I've mentioned it before (maybe once or twice ;)). 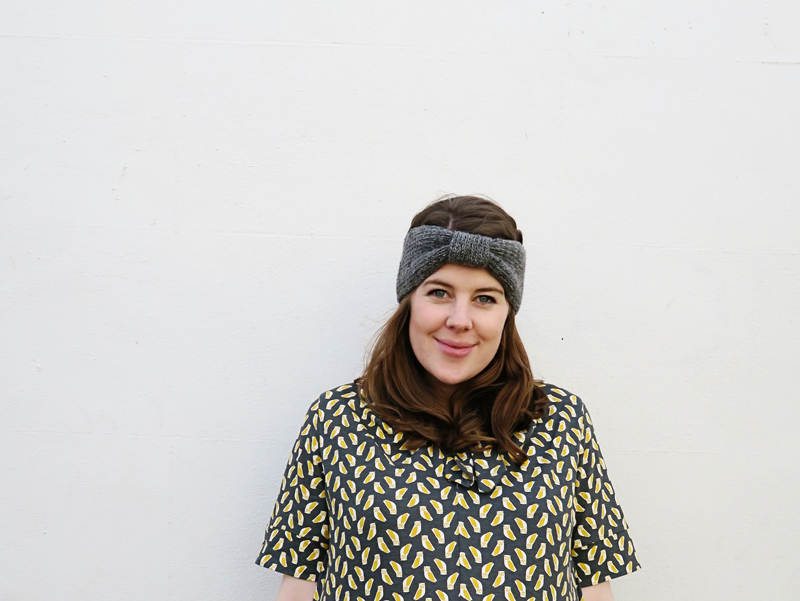 I love the layering clothes, the bobble hats, the colours of the leaves, the excuse for hot chocolate and the excitement building up to the holidays. Around this time of year I prepare for hunkering down for winter but I also start looking towards the new year and the plans I have for our family in them. I first came across Hip Little People about two and a half months ago at a Mothers Meetings event. Although we didn't get to chat much at the time it was the start of me being aware of the shop and the inspiring ladies behind it. 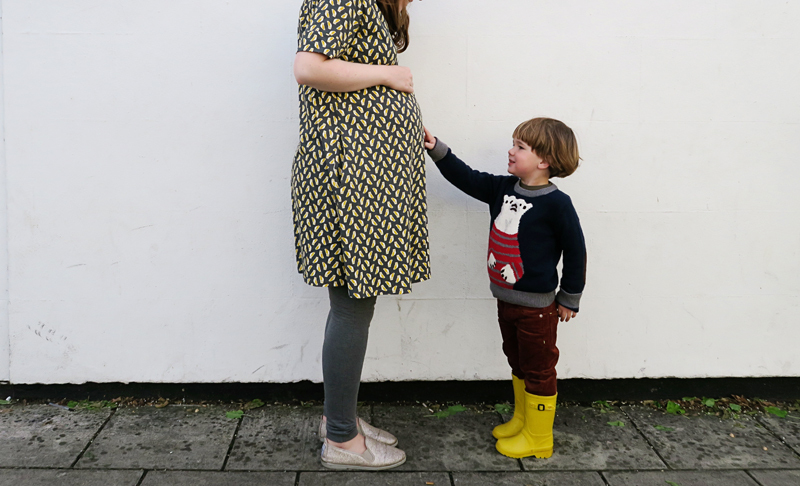 Hip Little People is an online boutique for, well, hip little people! Set up by two stylish mamas Lucy and Kelly who pre children were both stylist and buyers in the fashion industry for fifteen years. 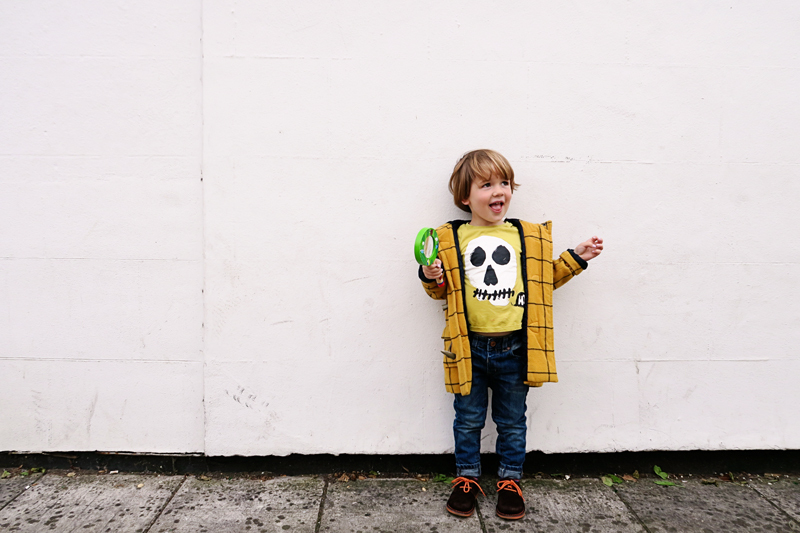 The boutique is a selection of carefully curated children's clothes, accessories and decor and I'm pleased to be offering you guys the chance to win £50 to spend against any children's clothes on the site. Wilf is wearing two pieces from their Bang Bang Copenhagen section. I've had my eyes on these pieces for a while and will make for the perfect halloween outfit. All you need to do to enter is complete the rafflecopter form below and good luck! 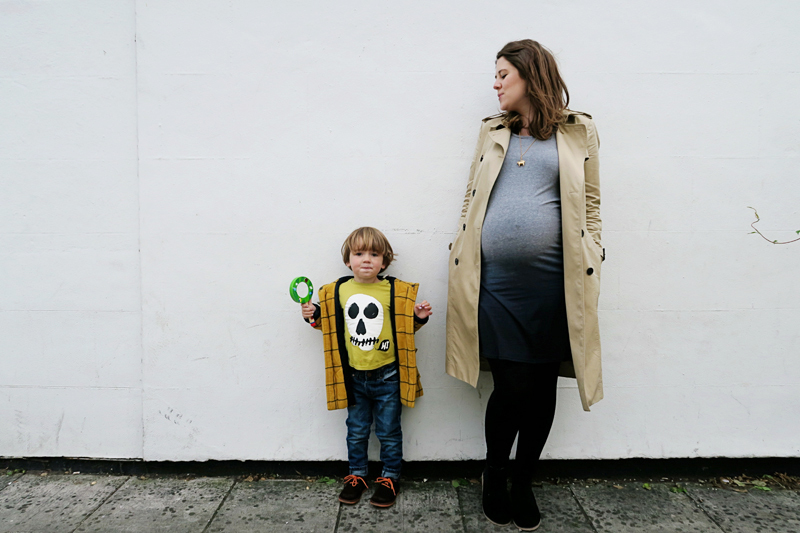 I feel like this stage of my pregnancy is quite significant as it's the amount of weeks I was when I went on maternity leave with Wilf. Sometimes I think that sounds quite early and sometimes I think that it makes perfect sense. Certainly in the last two weeks I've really been feeling the heaviness and the limitations on my body to do the simplest things. I wrote the the other week about slowing down and it's something I'm going to make a conscious effort to do now. This time round there is a bit of guilt with not being able to do so much with Wilf and the reliance on Netflix and Tin Tin for getting me through most afternoons. I know it's not going to be forever but I feel like these last few weeks of him being an only child I should be making more of an effort...although if you ask Wilf that probably is what he'd chose to do if asked! I'm grateful for Tom doing the nursery run and also their Thursdays together as I know if i needed to occupy him all week we would both end up in tears after being cooped up together some days. Symptom-wise I'm still grateful for feeling better than I did in those first few months of pregnancy although leg cramps and heartburn are taking over a little. I've been told epsom salts and tonic water are good remedies so I'm going to give those a go and see if it makes a difference. 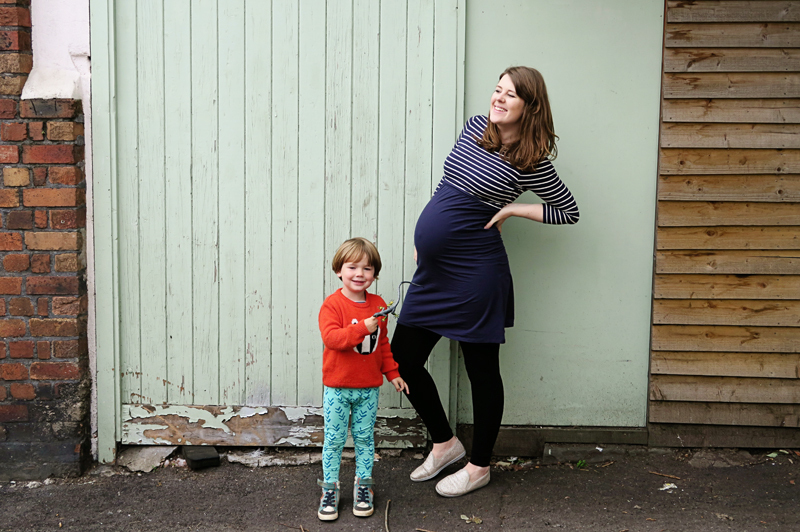 I remember the leg cramps from my first pregnancy and worrying if I couldn't cope with them how I was going to cope in labour (the truth was the leg cramps were far worse than any labour pain!). Although I'm going to be taking it easier from now on I've been trying to get out as much as can to see friends when I feel up to it. 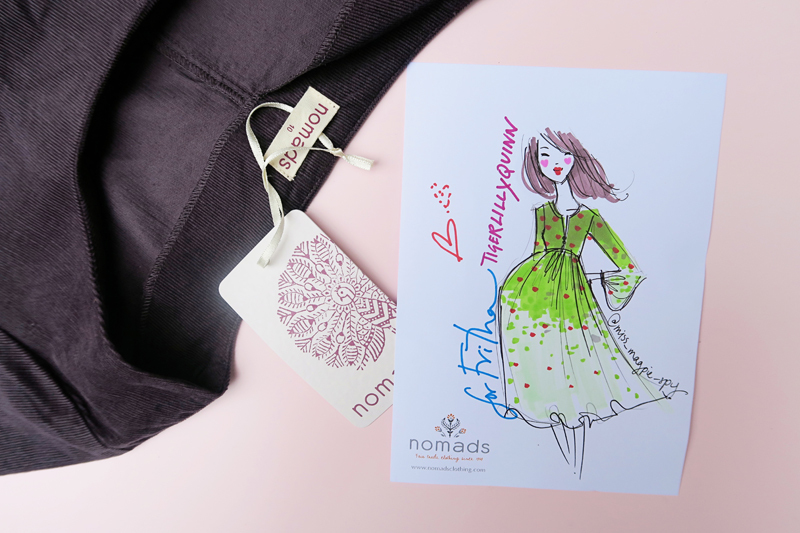 The other night I was invited to a evening with Nomads Clothing at Harts Bakery and it was great to have a super quick catch up with some of my blogging pals. So good to have an event that was Bristol based and not London too (more of those please!). 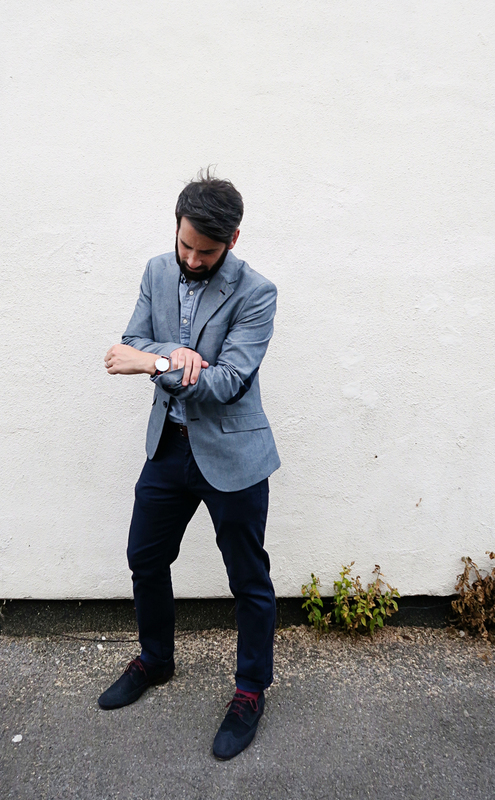 As you probably know I'm a huge fan of ethical fashion so the brand was really up my street. Niki Groom, Nomads head designer was also there on the night. She is a amazing illustrator and I didn't even notice her doing this picture of me until she placed it in my hands. I absolutely love it so much, especially as it has my bump! Decorators Notebook were also there helping people get their craft on, I didn't get a chance to sit down and made a tassel charm with them as it was a flying visit but their jewellery and homeware was also for sale and is defo something I need to add to my Christmas list. Other than that I've mainly been enjoying this season with my family. I love this feeling of excitement before the newest little one arrives. It's like the feeling before Christmas times a million (ironically I seem to only be able to have babies born just before Christmas). Hey friends! 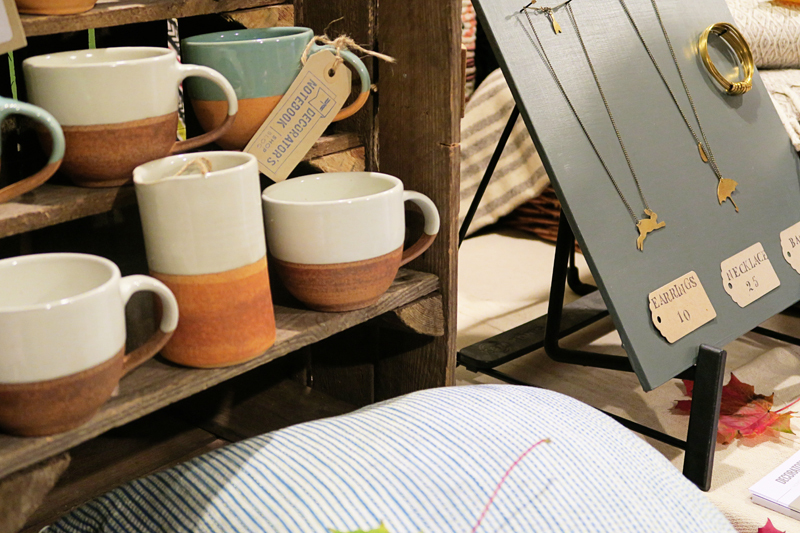 I thought I would pop up a little shop update today to let you all know what I'm doing with it and any new bits I might not have shared over here yet. As my due date is nearing (6 weeks!) I'm running some really big sales from now until the end of Nov and then closing the shop for...not sure how long! 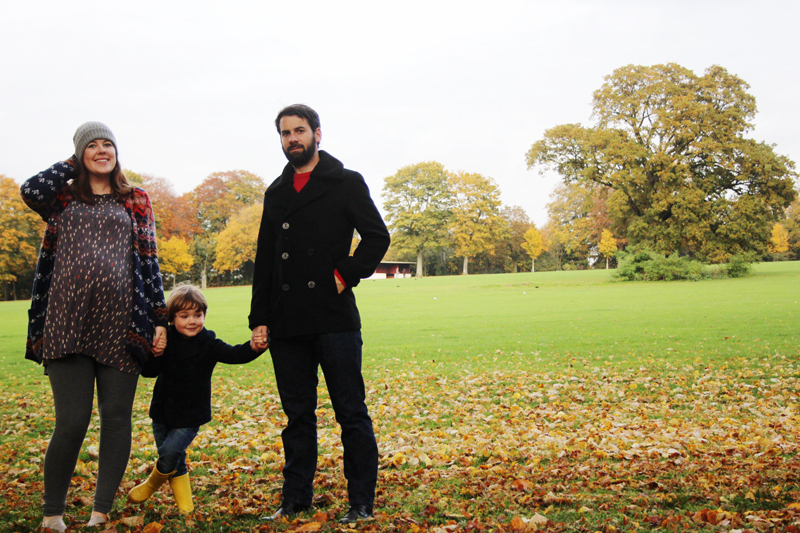 I think we'll probably be playing it by ear in the new year with how everything is settling in to life with two kids. Tom has said he would be able to help me out with running the shop in the first few months of the new year and I think we'll have to think about what direction to go in then. Truthfully I'll probably be winding it down for good as it's been a good lesson in taking on a bit too much. Having two businesses has been really rewarding but also quite difficult at times and my love will always lie here with the blog over anything else. That being said there are some super cute new products I wanted to get in for you guys before I did. 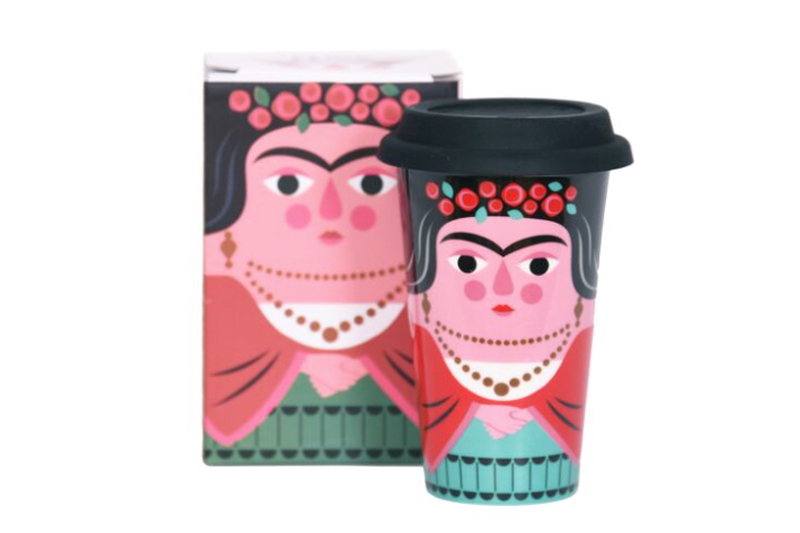 I love these Frida travel mugs (you can get Salvidor too!). 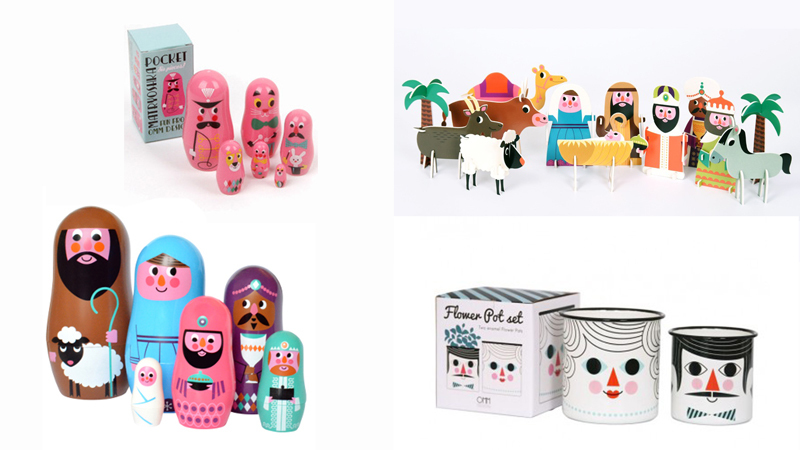 I also have some fun Christmassy bits in too like these Studio Matryoshka Christmas nesting dolls and this Ingela Arrhenius nativity scene. I also wanted to take a minute to thank you all for your support with the shop over the past two years! Owning a boutique was my dream since I was a child so it's been amazing to realise it in an online form. Cute baby bits with Zazzle! 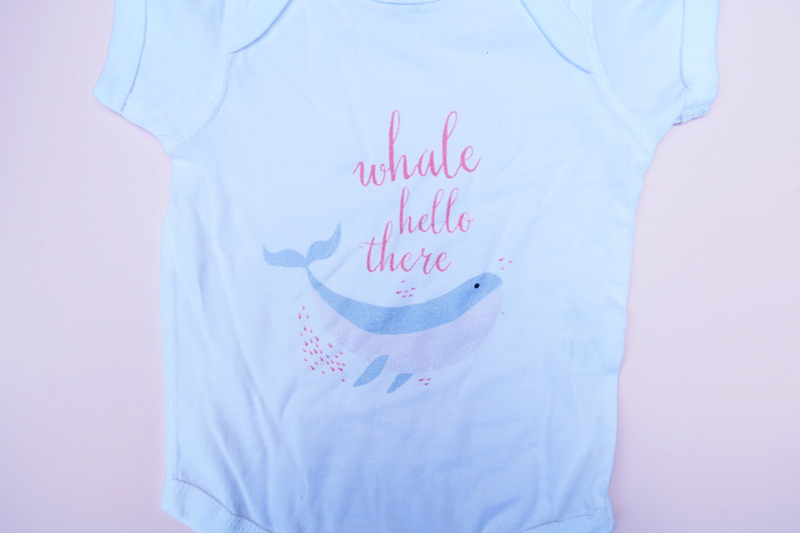 'Whale Hello There' baby grow design by Origami Prints for Zazzle - I do love a good pun! I can't wait to show you it with a baby inside! I'm working with Zazzle again in this post to show you some of my favourite picks from their new baby sections. You might remember I previously picked out some of my favourite 'back to school' items here and also our personalised name cushion here (when we had just got married!). What I love about Zazzle is that once you found a designer you love you can choose their designs on so many different items. It can sometimes feel a little overwhelming because there is just so much on there but I've found once I've saved a few designers in my 'likes' it gets really fun to come back to them and see what a pattern might look like on a burp cloth or babygrow. Panda babygrow by Cute Brands Apparel for Zazzle. This one is actually in organic cotton and feels really thick and soft. You can chose to have the design on different colourways too although I went for 'natural' for this one. Monogrammed Flamingo Print burp cloth by Origami Prints for Zazzle. I love that these come monogrammed and the pink flamingo print is even more fabulous in real life. Swaddle blankets! 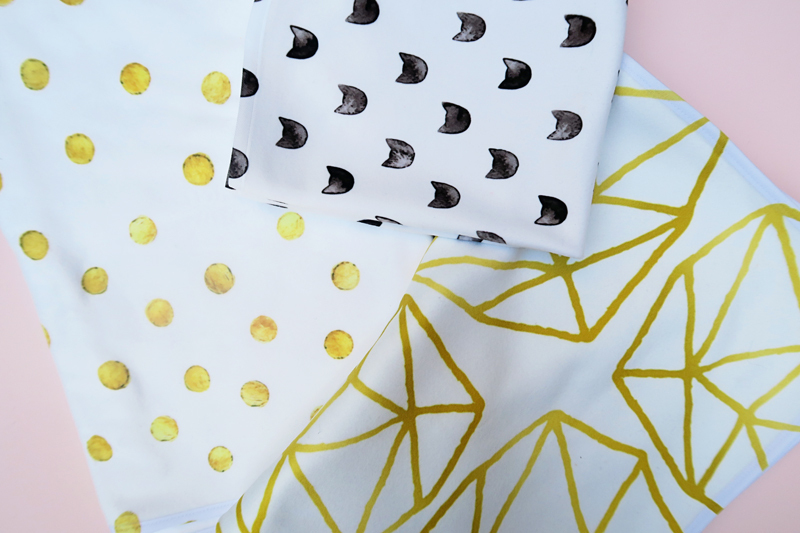 - I got these in the Gold Foil Confetti Dots swaddle by All Pattern for Zazzle and also the Geometric pattern by the same designer. 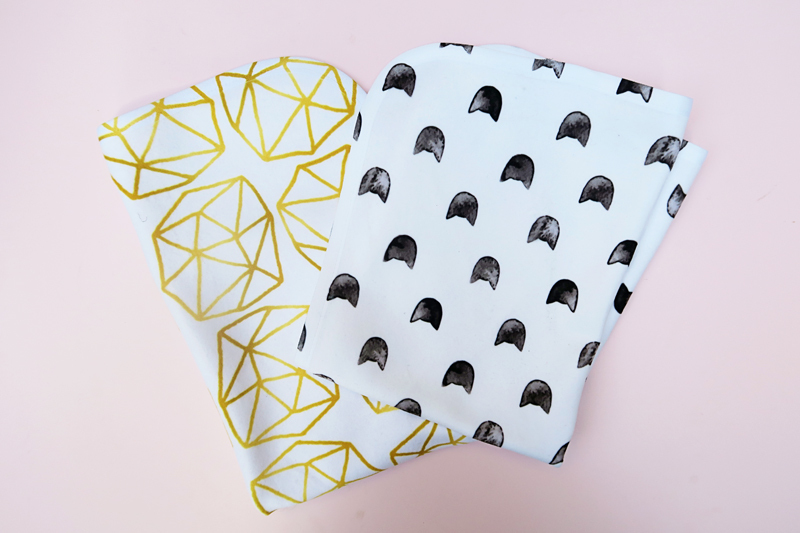 I actually got the Geometric patter in a burp cloth and bib as well as I loved it so much. 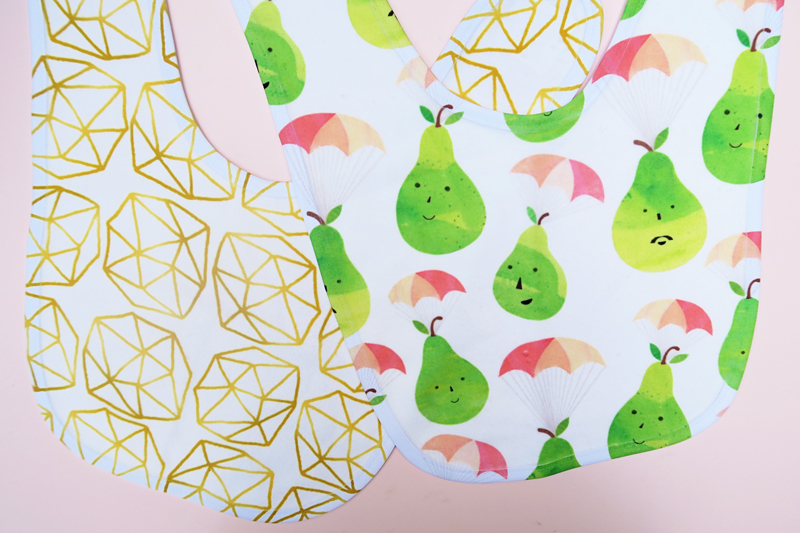 Lastly I also picked up this fun pear design bib from Sugar Snap Studio for Zazzle. 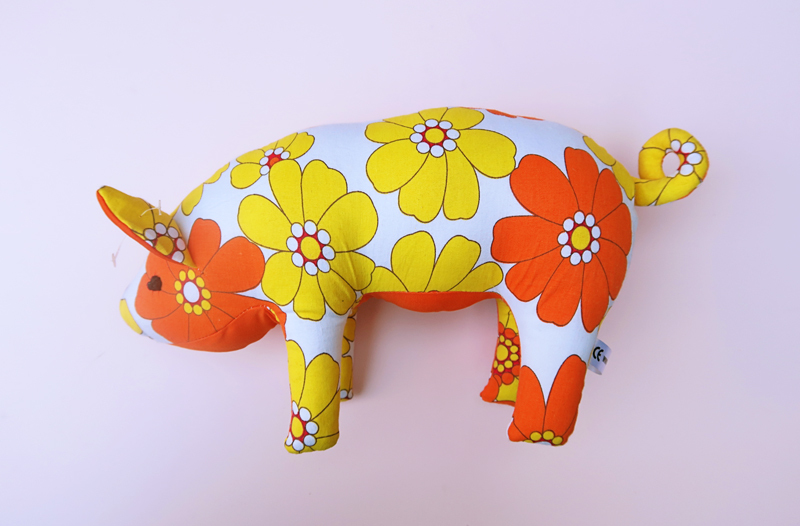 I love this designer and featured them also in my last Zazzle post as their illustrations are so cute and fun. The swaddle blankets are made of the softest cotton and will be great for pram blankets too I think. One of my favourite things is folding and popping all the new baby bits in her draw (or three drawers as they've now become). I just can't wait for this baby to arrive to cuddle her up in them! I LOVE this time of year. I love Autumn because I've never been massively a summer person and the temperature is my kind of perfect. I love snuggly jumpers (preferable in a mustard shade) boots, and chunky tights. I love it because it's when my birthday is and I love it because of Halloween! We've not gone crazy with Halloween but we always get Wilf an outfit. Last year we were in Amsterdam and we went for this cute little skeleton outfit, it was actually in a 2-4 so was massive on him at the time. The year before he was Beetlejuice which is always going to be a favourite and I'm thinking we might go for bat this time round. I thought it would be fun to pull up some of my favourite items from the Melijoe site this month that would fit the spooky time of year. I am completely obsessed with that swan headband, in fact I'm thinking maybe next year I'm going to get me a swan outfit..like Bjork's. 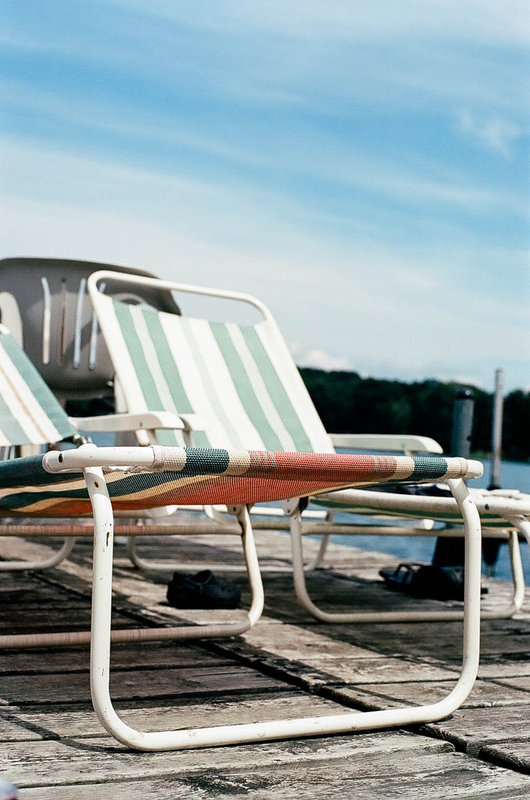 Do you love this time of year like me or mourn the summer? So here's the thing when it comes to pregnancy, bar the first four months of terrible sickness I've generally just acted like nothings different. I get frustrated with people telling me to sit down when I'm standing, scolding when I'm bending and gasping when I lift my three year old. I don't think pregnancy is an illness and as a mother and owner of two businesses I don't have time or inclination to slow down or treat life much differently. I think I am finally admitting I need to slow down. I've always been someone who wants to just 'get things done' I'm massively stubborn and impatient. Attributes that sometimes work in my favour and sometimes aren't so useful. When I was a waitress at 21 I slipped on oil in the kitchen and fell on my face (literally, don't know what my hands were doing!). It hurt like hell but after a teeny tiny cry to myself in the linen cupboard I realised we were understaffed and insisted I stayed for the rest of the ten hour shift. Still feeling a bit weird afterwards I took myself to A&E where they confirmed I had fractured my cheek bone and asked me why on earth I hadn't come in straight away. This weekend we got our home ready for some big renovations, whilst Tom was upstairs sorting our room I was packing up half of our living room and all of my shop stock into boxes, standing on chairs to lift things down, bending down to lift things off the floor..and I over did it. Tom came down after a few hours of the jobs he was doing and asked me a question and I just burst into tears sobbing 'I'm just so tired, I have so much I want to do and my body isn't letting me do it!'. I woke up on Monday aching all over, I've pulled a muscle in my back and generally feel shattered. I also feel a bit foolish, I need to remember I'm seven and a half months pregnant. I need to realise my limitations at the moment (including not being able to put my shoes on for myself now). Although I do think it's good to be active, I'm realising this means gentle swimming (not the half hour of lengths I did last week and ached for days afterwards), it means a little bit of yoga or a stroll round the park. This Thursday I'm off to London again and then I have one more work trip booked in at the start of the month. After that I hit 37 weeks and 'full term' and although I've been saying it for weeks I will definitely be taking a break from that point. 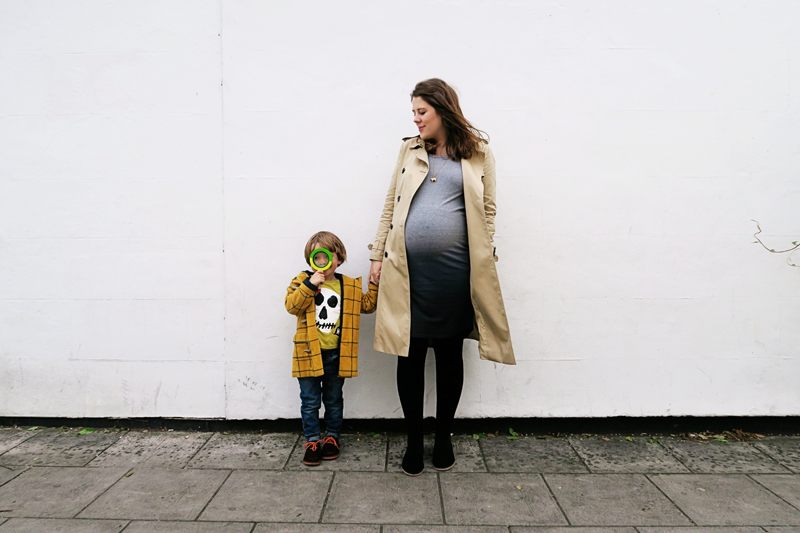 With Wilf I went on maternity leave at 34 weeks, I watched copious amounts of Grey's Anatomy and generally ate well and did yoga. I was so thankful to finish work and just focus on the baby and I feel quite guilty I've not felt or done the same this time round. I'll still be blogging of course but I be officially hunkering down in the next couple of weeks. Wilf was born at 39 weeks and although I have a feeling this baby might be late I need to spend some time looking after myself and preparing for the birth. 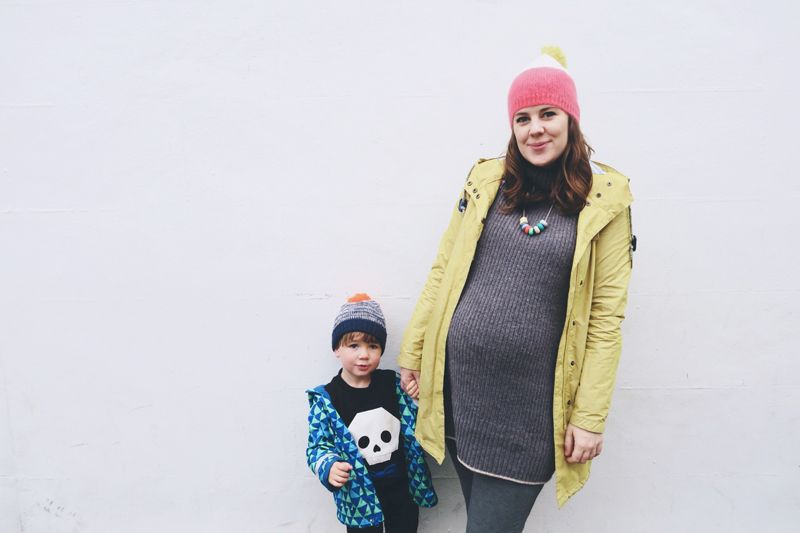 Did you find you put more pressure on yourself to just 'carry on' with your second pregnancy? I'd love to know if it differed from your first. I'm working with Pisamonas kids shoes again on this post. 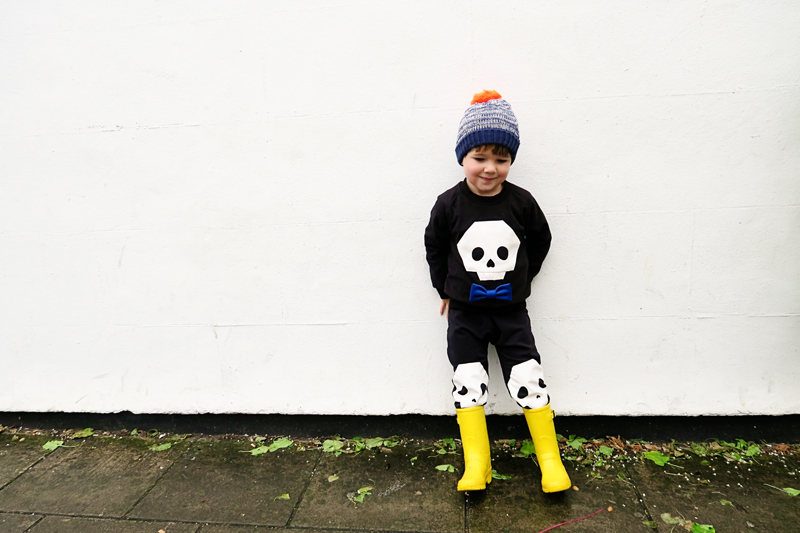 You may remember Wilf and I twinning with some of their bright wellies back in the summer. 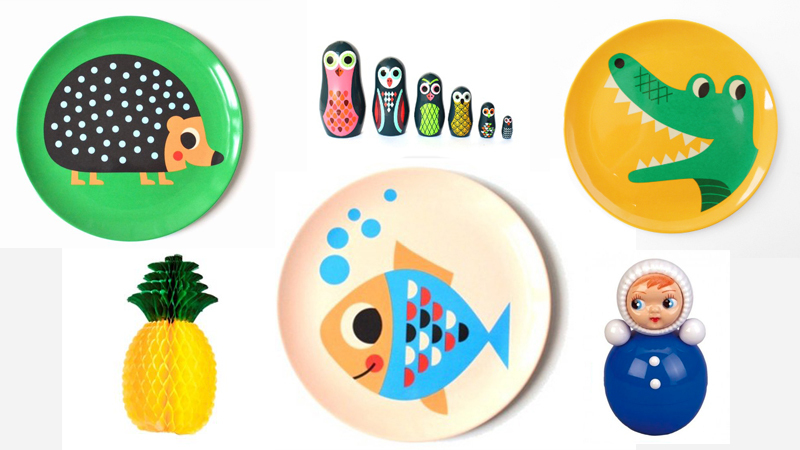 We are big fans of the spanish brand and love their fun and quirky designs. 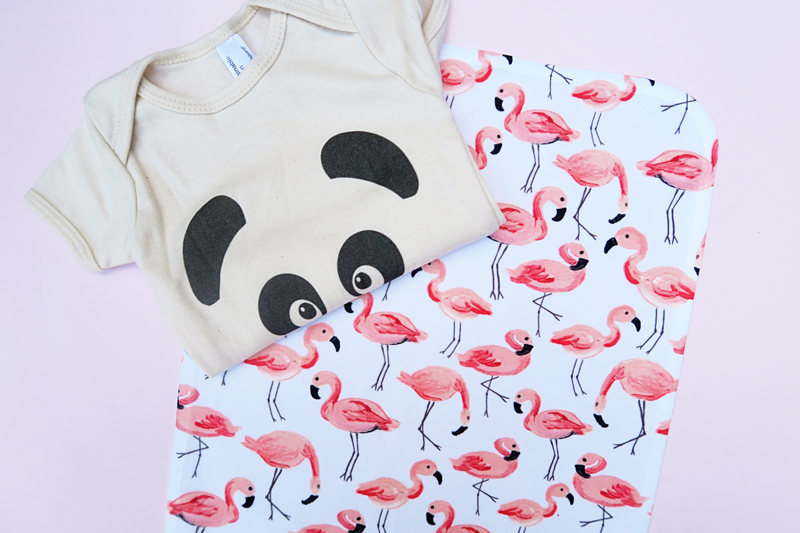 I also love that lots of the designs come in kiddo and grown up sizes so you can be matchy matchy if that's your thing (and why wouldn't it be ;)). We took these pictures last weekend on a coffee run, which is pretty much the extent of our weekend activities these days. This bump is only getting bigger and my waddle is only getting more pronounced..I like to call it a pregnancy swagger though. You can't see my Chelsea boots with glitter very clearly in these pictures as it's quite tricky to get details with black but the back is actually glittery which I loved. You can see them in store here for a better look at them. At seven and a bit months pregnant I need comfy shoes, although Tom does have to help me get them on (same story with everything apart from my slippers at this stage) they are indeed very comfy! 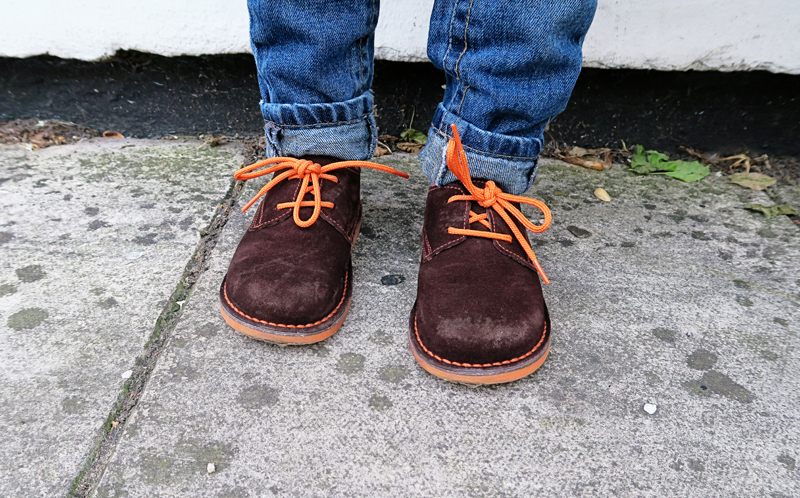 Wilf has already have lots of compliments about the shoes he picked out (which were these Blucher shoes) and I love the clash of the bright orange against the brown leather. So fun! Pisamonas have a bunch of new designs recently landed in the store so I thought I'd put together my top five. How cute are the Nubuck baby boots? 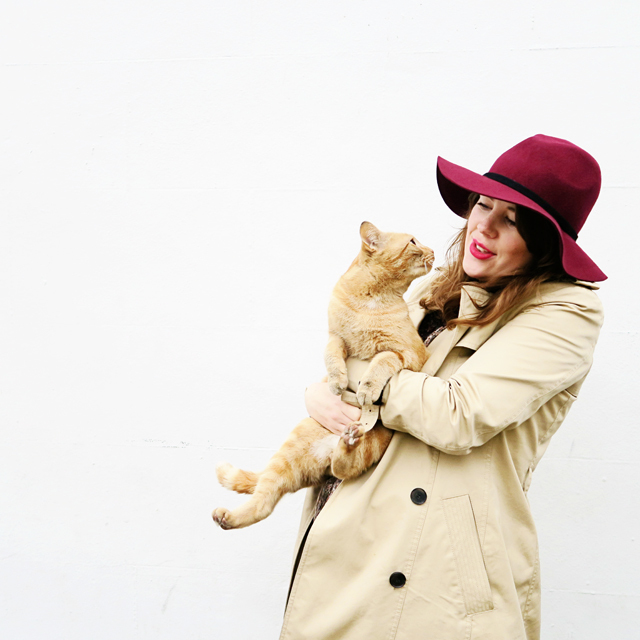 In case you are wondering about the rest of our outfits, Wilf's top is from H&M and coat is past season from Joules. My dress is from ASOS and my coat if from Jaeger. What do you think of the Pisamonas range? I'm teaming up with a local to me independent business today called BORN. 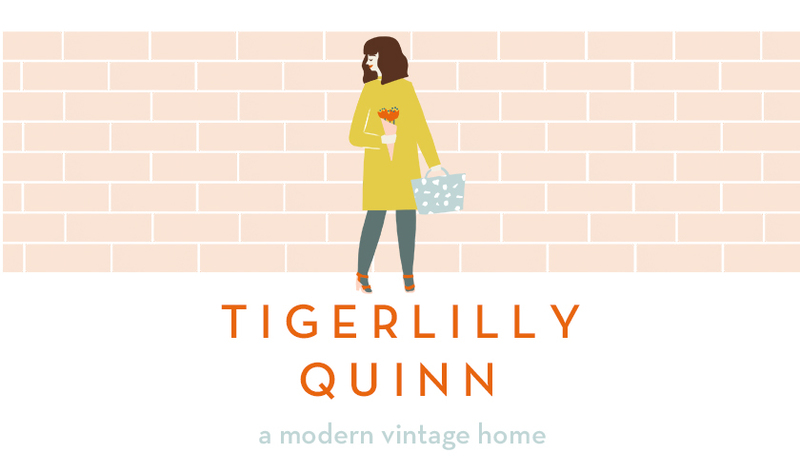 I first started shopping with them when Wilf was a baby and I love just how much they care about the products they sell and the customers they sell them too. We bought our Ergo sling from BORN when Wilf was about 5 months old and I remember then thinking how good it was that they took the time to find the right one for us rather than trying to sell me the most expensive one. What's good for you guys though if you aren't local is that they also have an online shop too. Eva the owner was kind enough to gift me with a little newborn package and we thought it would be fun to 'unbox' them. It's the first time I've ever done anything like that and I'm still quite new to video so I had to cut it down quite a lot (I don't half ramble on sometimes!). I also don't mention all of the brand details whilst 'unboxing' so I've added a link to each item below this video if you fancy a peek! David Fussenegger blanket - One of my favourite items from this haul, I can't wait to have a baby to snuggle in it. I didn't mention in the video but it is really super soft too. Seven Secrets to a Joyful Birth (Just realised my friend Adele did a book review of this book if you fancy reading that!) Also the 'What Mothers Do' book is also available from BORN here. I was kindly gifted these items from Eva at BORN but all words and thoughts (and ramblings) are my own! 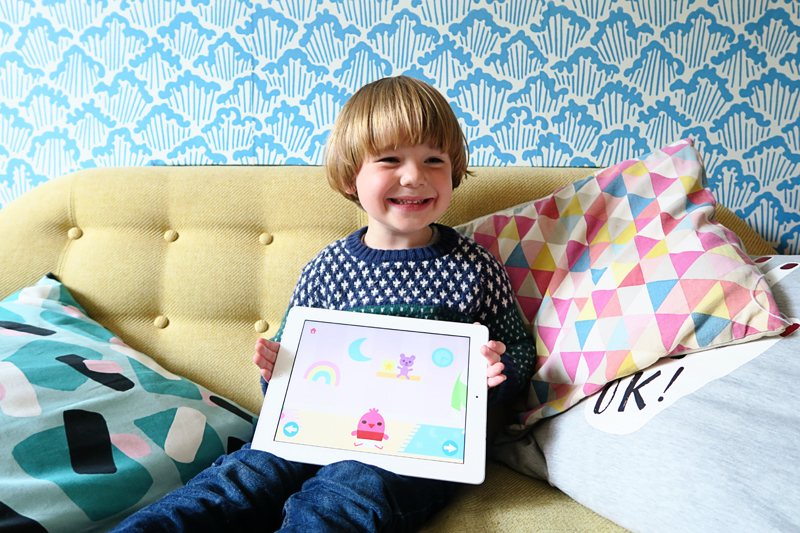 Following on from yesterdays post on how pops of colour can really help you update your space, i'm working with Dulux again in this post to show you a fun little app I've recently been made aware of, the Dulux Visualiser app. This little bit of software is designed to easily let you imagine what an area of your home would look like had it been painted with a certain shade of Dulux paint. I have to admit its pretty addictive when you get into it and Tom and I spent a good twenty minutes going from room to room seeing what walls would look like in lots of different shades. I tend to choose bright yellows and blues (I'm nothing if not predictable) and since then I'm really eager to paint our bathroom door Lemon Punch. I really love the idea of small areas with loud colour themes against an expanse of white walls. What I love is that I was already drawn to this colour but the visualiser showed me that it wouldn't be right for for a large area such as the bathroom walls. I was also really impressed how it picked up objects in the room and didn't paint over everything in yellow. You can also save each image and compare the same space in different shades or colours which I think really helps when visualising a space. 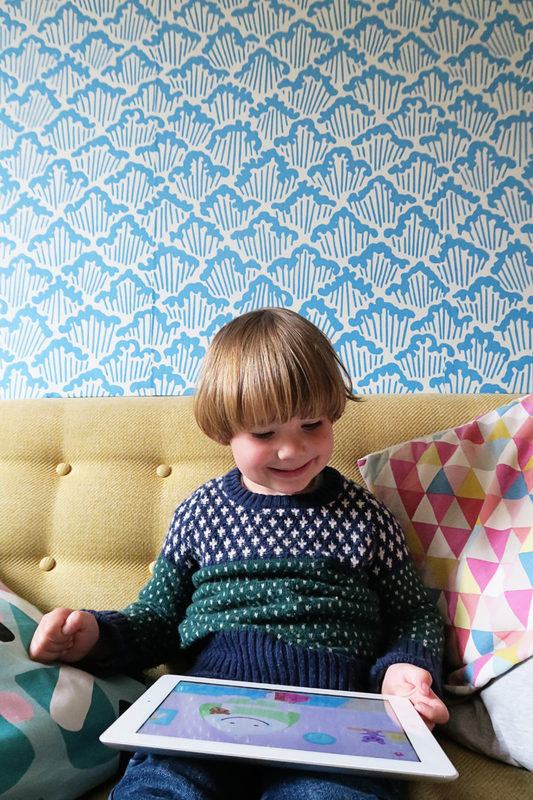 Here's what Wilf's room would look like if we let him paint it blue like he wants! The app is free to download on iTunes or Google Play and with a really large section of colours its great to imagine your latest DIY project. The Dulux Visualizer can suggest colour schemes to help complete the look of a space you are looking to paint. Gone are the days when you have to pick up paint charts and hold them against walls (or paint little squares that are left on your walls for weeks whilst you decide). What do you think of the visualiser app? Is it something you think you'd use for your DIY projects? With the baby due in eight weeks time and nesting definitely taking hold I am currently obsessed with fixing up our home. We've managed to get some larger jobs done on the house that we've talked about for ages, like replacing windows that had been steamed up (between the double glazing from before we bought the place). To our big plans such as turning our downstairs back into two separate rooms. I've also been thinking about smaller projects that we can do to brighten up the place. There is the obvious of course like repainting white walls (Tom just re-did the bathroom and we were shocked at what a difference it makes to how much bright the space now looks!). In fact now all our other walls look a bit dull so I'm getting obsessed about re-painting all the white for a cleaner look, yep I told you I was nesting! I love the idea of giving smaller spaces or furniture a make-over to really refresh a room too. A little while ago I decided to paint Wilf's furniture with different shades of blue to create a more interesting storage unit. It was a really fun project and made such a difference to the room, making it fun and child friendly rather than pine and a bit boring. I chose slightly different shades for each drawer level and was really pleased with how it turned out. Wilf helped me choose the colours too which was a happy medium as he was at the time asking me for a totally blue room which I felt was a bit too much. This idea of a two tone pink palette in the bedroom is right up my street, I love how the dark cornice separates the two colours and how the lighter colour at the top makes for a brighter space. I really like the idea of doing something similar with our bedside tables which are quite sixties in design but I think would pop better in a pink or yellow. Luckily Tom is pretty happy with a colourful house and my current obsession for pastels and bright shades (lucky for me!). I'm really taken with this idea of painting exposed brick in two different pastel shades. What do you think about changing up your home with pops of colour like this as opposed to painting an entire room? Would you add a bold feature wall or do you prefer a more neutral palette? Downloading the Dulux Visualizer app on iTunes or Google Play will help you make these decisions. So somehow a whole year has gone by since we got married. 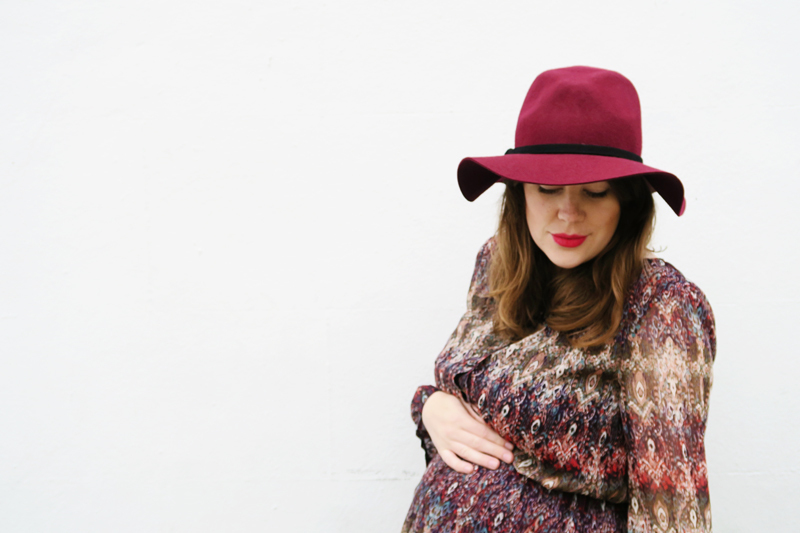 Sometimes it feels like just the other day and sometimes it feels like lifetime ago, I certainly feel like I've been pregnant for a lifetime already! I do sometimes laugh at the fact we got engaged and married within three months, anyone who knows me knows how impatient I am so really it was always going to be something I just got on with arranging straight away. With me being seven months pregnant we weren't going to do anything super exciting for our first anniversary, although I did initially think about booking a hotel for the night (mainly for a good nights sleep ;)) we settled on a nice meal out instead. In usual fashion I didn't manage to get Tom a gift (for the record I am the worst person for remembering to buy gifts by the right date) but I always think gifts are better when spontaneous anyway..well that's my excuse. I can't really say marriage has changed our relationship at all, although I think had we got married pre-parenthood I might feel differently. Becoming parents was such a big adjustment and commitment I think it would be hard to find something that could effect your relationship dynamics that much but I am happy that we made the choice to. I guess I've always been very confident that we were committed to each other for ever anyway that I wasn't sure getting married would change anything. That being said I'm still very happy we did get married, that we were able to celebrate our relationship and our little family with the people we love the most. As a bit of a romantic I guess I also get a kick about declaring that you love someone for ever and the symbolism that a wedding ring holds. We booked our table for 6pm and dropped Wilf off with a neighbour for a movie night. With a few minutes to kill before our booking we took these silly pictures to celebrate the occasion. I spliced one of me and Tom together too just for fun! If you are Bristol based then I'd definitely recommend Matreya Social. It's a vegetarian/vegan restaurant and is a big favourite of ours. We recently discovered their roasts too which are delicious! My dress was from Tiffany Rose and my bag is from ASOS. My shoes are from Swedish Hasbeens and were actually my wedding shoes too. I realised I haven't actually shared all the wedding pics I wanted to share with you so I'll pop those up soon. In the mean time here are some 'pre wedding pics' of us getting ready and also our wedding video here. If you're interested in how Tom proposed you can read about it here and here! So I am officially very bumpy right about now! I have a little less than 8 weeks until my due date and five until I'm 'full term'. 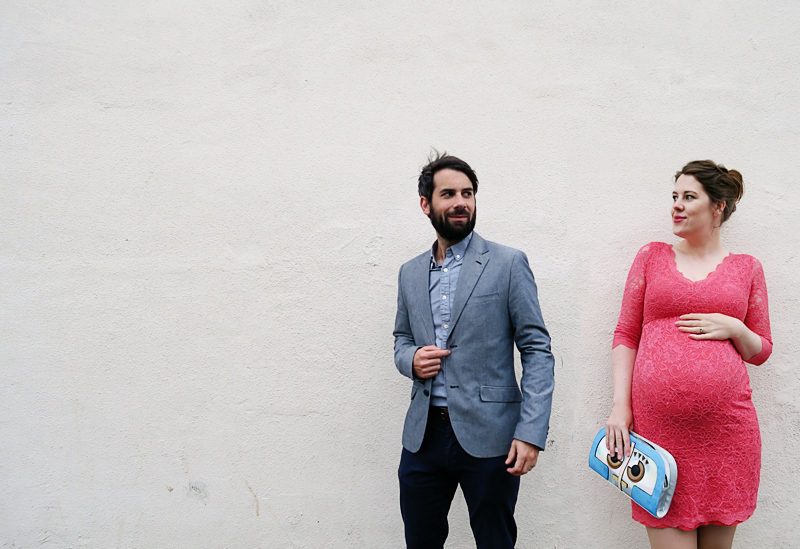 Wilf was born at 39 weeks so I'm conscious that I want to sort of be 'ready' and prepared for another early-ish arrival, although of course since I've said that she's bound to be late! 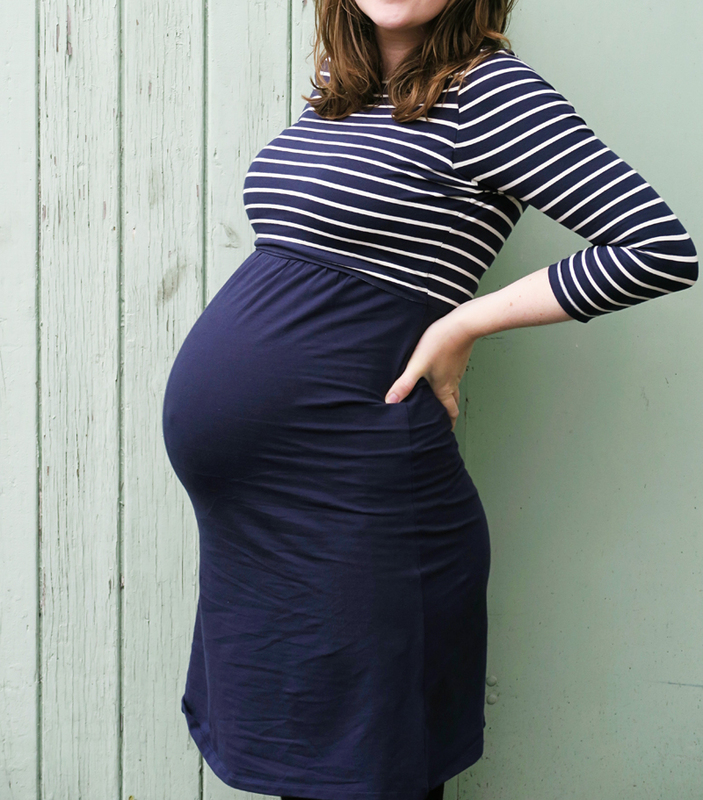 Whilst I'd say 75% of my maternity wardrobe has compromised of 'normal clothes' but in larger sizes or cuts that fits the bump I've now reached the stage where it's more practical to be in clothes actually designed for pregnant women. 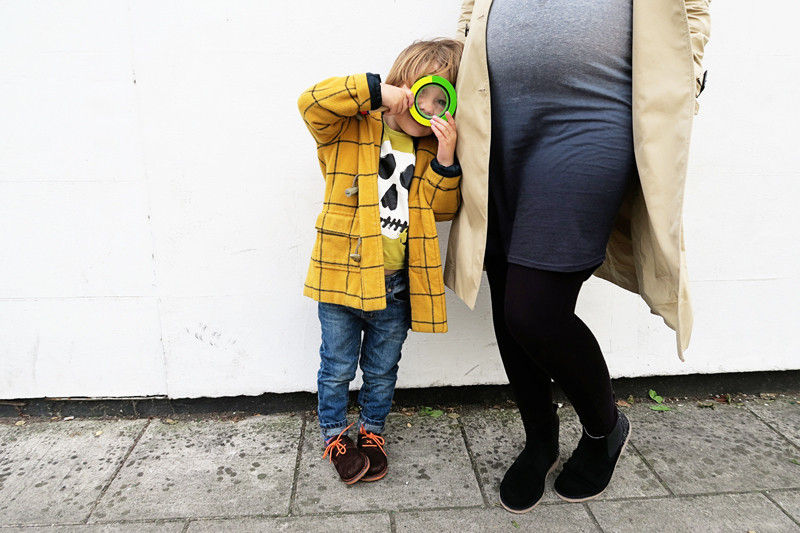 Oh and maternity leggings, you've got to love maternity leggings! 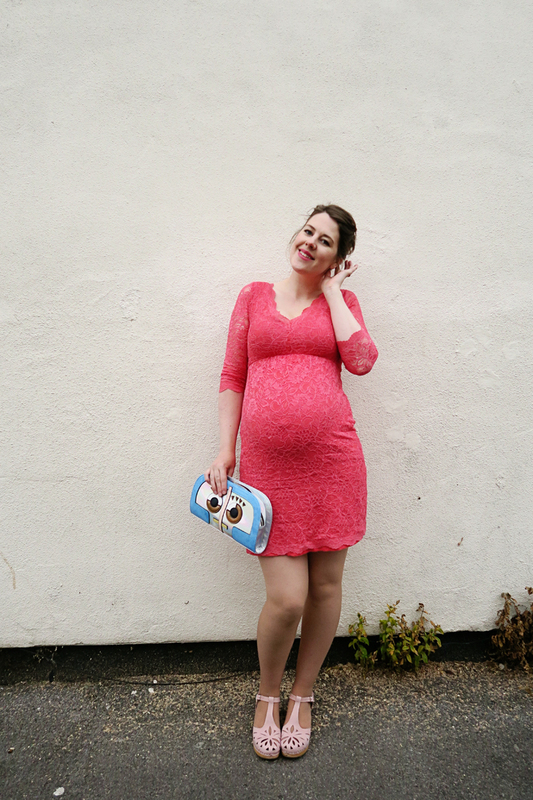 The fit is so comfy and flattering and it'll be a great one to be in whilst I'm in those in-between sizes post birth. In case you are wondering my shoes can also been found in this post. Wilf's jumper is from the Donna Wilson range at John Lewis here, his trousers are from here and his trainers are past season from M&S. I've mentioned before on the blog that we are big fans of the Sago Mini games for kiddos. I think about two thirds of Wilf's apps are from Sago Mini actually! What I really love about them is that I can always be sure each one we download will amuse him for a good while whilst also engaging him and making him think. A lot of apps for children focus on being really flashy and noisy and I find these kind of games not only don't appeal to me but tend to wind Wilf up too. I really notice that they effect his behaviour after he uses them. I've always noted that the Sago Mini games tend to be a lot gentler and promote exploring and thinking which is why we are always happy to let him play them. 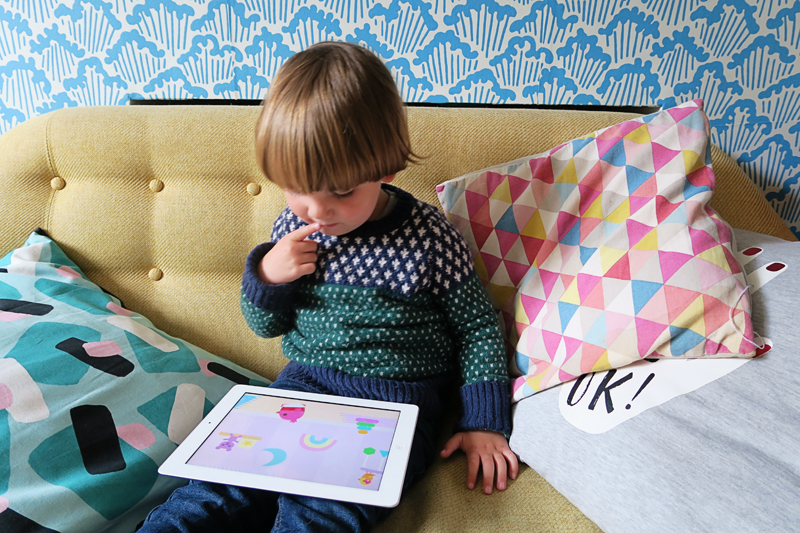 I can't tell you how grateful we've been for these apps during train journeys and quiet time! Sago Mini have just realised their new app Sago Mini Babies. 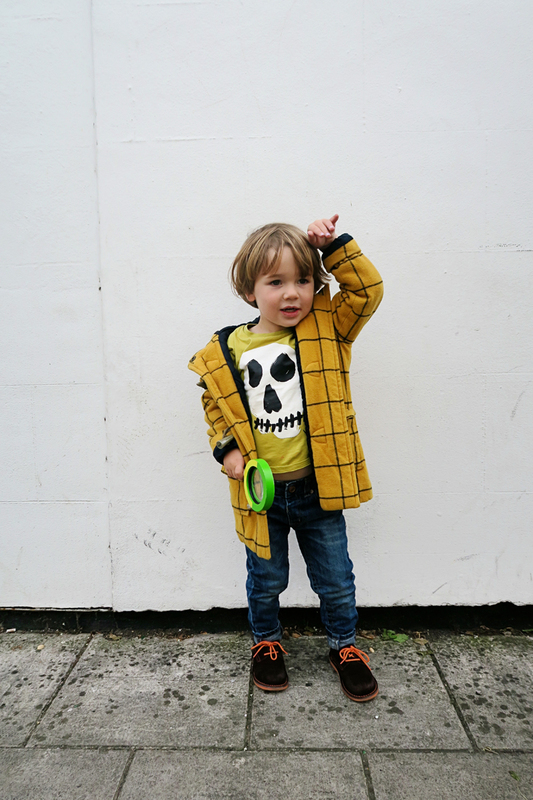 Aimed towards children between 2-5 years we found Wilf was the perfect age to enjoy it at almost 4. It's kind of the most well timed app for us to with the baby due in a little under two months and Wilf becoming a big brother! Kids can feed their babies mush, change their nappies (something Wilf is keen to do in real life apparently!) and even play dress up with the 4 characters available. 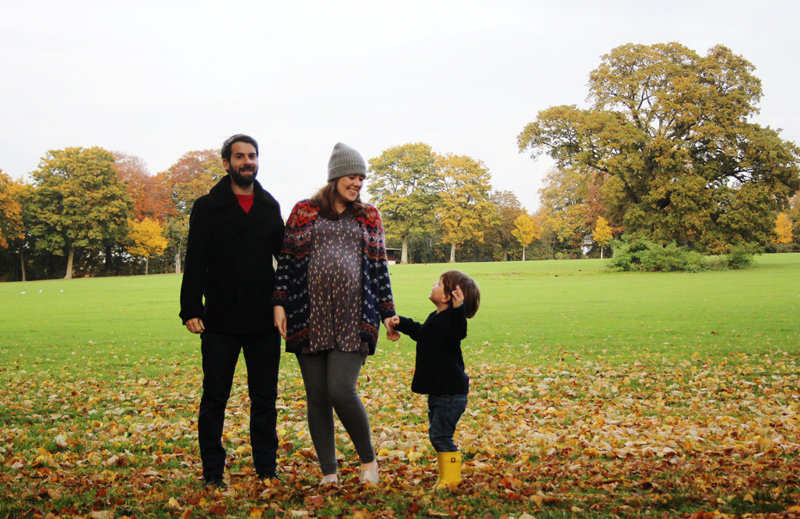 Its been a really lovely tool to talk about all the changes that are going to happen in our family soon. I think you can tell from Wilf's cheesy grin he had a lot of fun testing it out. I'm happy to be able to offer one reader a free code for this new game plus a £20 iTunes voucher. All you need to do is enter the rafflecopter below and good luck! What do you think of the Sago Mini games? Are your kiddos fans?